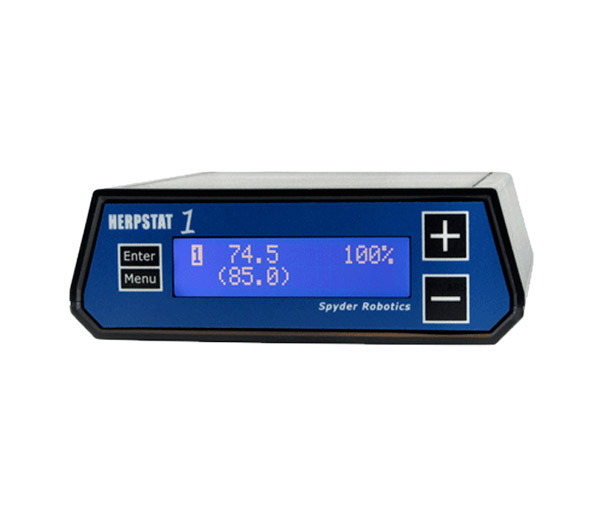 Spyder Robotics Herpstat 1 Basic Thermostat from ARS Caging, Professional Caging for Professional Breeders. Reptile Breeding Systems and Rodent Breeding Systems. Configurable for Heating, Cooling, and Lighting.